The Internet of Things abbreviated as IoT is the network of devices that can be connected to the internet and other devices. Basically, it creates an ecosystem of connected physical devices that can be easily accessible through the internet. The physical devices that are connected in this network can be vehicles, home appliances, smart microwaves, self-driving cars, fitness devices and other embedded items with electronics, software, sensors and connectivity which allows these devices to connect and exchange data resulting in efficiency improvements, economic benefits, and reduced human intervention. In 2017 the number of IoT devices increased rapidly and reached to 8.4 billion, it is estimated that this count will reach to 30 billion devices by the end of the year 2020 while the global value of IoT is estimated to reach $7.1 trillion by the year 2020. In IoT, the connected devices integrate data from different devices and share the most relevant and valuable information with applications to address specific needs. The powerful IoT platforms accurately pinpoint the information which is useful and which is safe to let go. This pinpointed information can be used to detect patterns, make recommendations and to detect possible upcoming problems before they occur. Just like any other service, IoT testing is also done to check IoT devices. As the demand for better and faster services is increasing the demand to access, create, use and to share data from any device is also increasing rapidly. Hence, IoT testing is important. The IoT testing faces lots of challenges like hardware-software mesh, Data interaction module, real-time data testing, UI and Network availability. The IoT system is closely coupled with various software and hardware components,, there is always a dependency on each other, so it becomes a tedious job as compared to testing a generic system. The device interaction module is an architecture between different sets of hardware and software, so it becomes necessary that they keep in touch with each other in real time and when they both integrate, things like security, backward compatibility, and upgrade issues becomes a challenge for the testing team. The real-time data testing challenge occurs when getting regulatory checkpoints or getting the system deployed becomes tough. IoT is spread across various devices and testing UI on each device is almost impossible. At the same time, we cannot omit the possibility of UI being accessed, so it becomes a tough challenge to overcome. 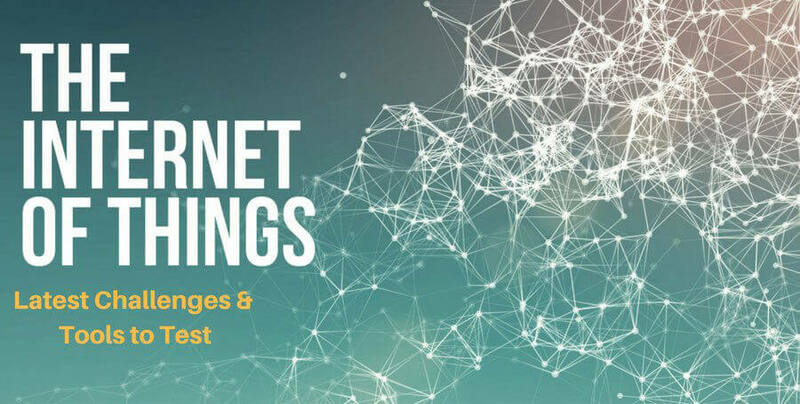 Network availability plays a major role in an IoT system as it is all about data being communicated from one device to another and if the network varies a lot then it becomes a tough challenge in IoT testing. Checking usability of the system is very important in IoT testing as the perception of devices varies from one user to another. Usability testing tries to incorporate something nearly impossible which is how “people” would like their application to be. While it looks like simple common sense there is profound science behind the usability testing. It is all about the user’s experience during their interaction with an application. This test makes sure that the interface of an AUT fits the user requirements and desires from that application. Checking compatibility in an IoT system is a must as there are lots of devices that can be connected to an IoT system and these devices may have varied software and hardware configuration resulting in huge possible combinations. The architecture of an IoT system is complex which makes it more important to have a compatibility test. For compatibility testing in an IoT system testing multiple operating system versions, generations of devices, communication modes, browser types and their respective versions are mandatory. An IoT system involves a large amount of data so it becomes important to check the data integrity in IoT testing. As IoT involves data transfer from one device to another so there is always a chance that the data can be hacked during the transfer and from a testing point of view it becomes necessary to check that the data is encrypted or protected during transfers. In an IoT system, there can be many devices or users accessing a massive amount of data at a single time so to secure the data or the user from any kind of theft it becomes important to validate user via some sort of authentication or indulge data privacy controls as a part of security testing. A strategic approach is mandatory for the development in every field and just like any other field, it is necessary for an IoT system too. Performance testing helps in creating a strategic approach and implementing it in an IoT testing plan. Performance testing helps in keeping up the performance of the system even though when some Big data consulting company added data is propagated. In Hardware testing tool there are three types of tools that are majorly used. The JTAG Dongle tool works as a debugger in PC applications and it is used in debugging the platform code step by step. The Digital Storage Oscilloscope tool is used to check various events with time stamps, glitches in power supply and signal integrity. The third tool that comes under Hardware is Software Defined Radio which is used to emulate receiver and transmitter for a large range of wireless gateways. In Software testing tool there are two types of tools that help the testing. First is the Wireshark tool, it is an open source application which is used to monitor the traffic in host address. The second type of software tool is tcpdump, it is somewhat like Wireshark except that this does not provide a GUI. •	Is AI The Most Powerful Thing That Humans Have Ever Worked On?